You’ve done the research. You’ve visited the facility. You’ve met the teachers. You’ve made your decision. But now what? Each year, millions of parents around the world put their children into daycare. And while they, like you, have done their research and found the “right” school, many are not prepared for what comes next. Having a successful daycare or preschool experience goes beyond picking the school that’s right for you and your child. It’s about asking the right questions, preparing for the unexpected, taking action, communicating and so much more! Feeling overwhelmed? Don’t! Dear Daycare Parent has you covered! 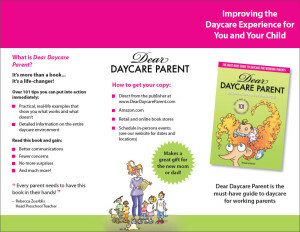 Written in a fun, easy-to-understand manner, Dear Daycare Parent provides you with all the information you need to have a great childcare experience. 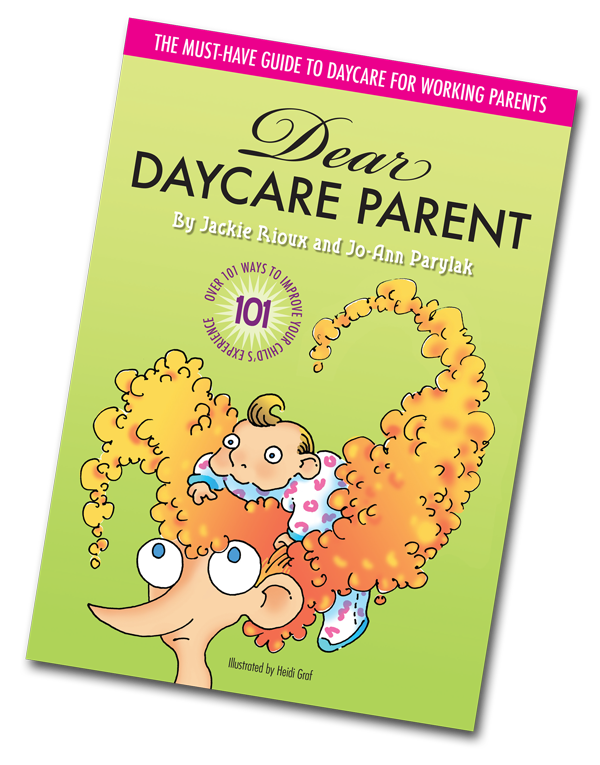 Authors Jackie Rioux and Jo-Ann Parylak, have drawn from their combined forty-five years of childcare experience to bring you over 100 tips and real-life examples, covering everything from drop-off to departure. After reading this book, you will have a greater understanding of what to expect and how to make the experience for you and your child the best it can possibly be.